There’s no doubt that winter has arrived and now is the perfect time to think about adding high quality outerwear to your uniform to get you through the coming months. We have launched a new collection of Regatta outerwear which includes fleeces, jackets and soft-shells for both men and women, so add an extra layer with a Regatta coat or jacket this season with Simon Jersey! Why choose Regatta for your winter uniform? Whether you work in a warehouse, a school or a hotel you will need layers suitable for the cold environment, keeping you cosy and comfortable all day long. 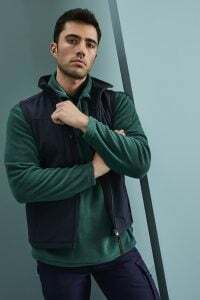 Well known clothing brand Regatta have been creating high quality outerwear since 1981, and we are delighted to extend our workwear range with their excellent line of clothing. Naturally, you will want the best quality workwear for your team, so selecting a brand like Regatta is a great way to ensure you have the right garments for your staff. We’ve picked out our favourite items from the range to help you decide which items are best for you. You can also add your unique stamp to everything with personalisation; embroider with your business logo, name, employee names and job roles with our Simon Jersey personalisation service. A Regatta waterproof jacket is perfect for jobs that require the wearer to be outdoors to complete their work. The waterproof material will keep you dry, while the mesh lining makes it breathable and comfortable to wear all day. Two outer pockets and one internal pocket allows you to carry essential smaller items, and the zip feature will keep everything safe and secure. The concealed hood can be folded away into the collar or left out dependant on the weather. 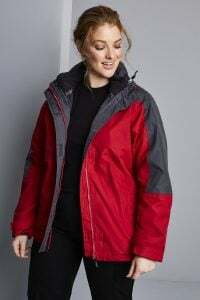 The Ardmore jacket is available for both men and women and comes in 12 colours – we’re loving the black and red version. Adding layers with fleeces is a sure way to adapt to the changing seasons, and the Adamsville (female fit) and the Ashville (male fit) Regatta fleece jackets provide maximum yet breathable warmth. The Adamsville version of the fleece has a fitted silhouette shape, giving a flattering appearance to keep ladies feeling confident in their uniform, whatever the weather. The high fabric weight gives these fleeces a high-quality feel, with the added feature of zipped pockets. The Adamsville style is available in 7 colours, and there are 5 shades of the Ashville. The classic black or navy jackets will complement any uniform look, no matter the industry. With a soft water repellent outer material that is lightweight and easy to wear, this style of Regatta softshell jacket is the optimum choice for working in a fast-paced environment. The slick design gives a stylish sporty appearance and is packed with great features such as a full detachable hood that simple zips off plus two zipped pockets and wind resistant properties. This Regatta softshell jacket is available in 4 popular bold colours, providing plenty of choice for you to match branding colour schemes. The men’s Flux Regatta bodywarmer is designed to be wind resistant, with quick drying softshell fabric that has a water repellent finish. The Flux bodywarmer has two zipped lower pockets and has the added feature of a zipped chest pocket, which is great for keeping important documents that you need close to hand. Bodywarmers are perfect for layering up your workwear; put a long sleeve t-shirt underneath to add warmth, or alternatively a polo shirt for when the weather gets a bit warmer. A Regatta bodywarmer teamed with a fleece can be the perfect work uniform for delivery drivers who are in and out of their vehicles in inclement weather, or those working in cold environments who need flexibility from their workwear. Find the latest Regatta launch on our Simon Jersey uniform website in the New In department or browse through the complete workwear range for even more options. For more information or uniform purchasing guidance, call our helpful customer services advisors on 03444 994414.